Mid season variety of excellent productivity, very hardy bush of 1,7m in height. Large size berries with an good taste are easy to pick. Great adaptability to U-pick. 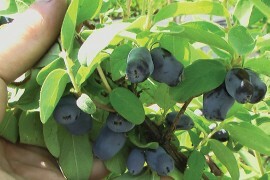 Early variety with a rapid and vigorous growth, bush of 2 m, produces an abundant crop of medium berry size characterized by a pleasant blueberry flavor. 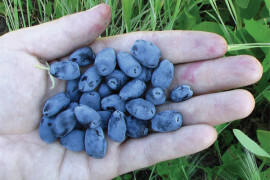 Early variety, that produces good sized reddish blue berries. 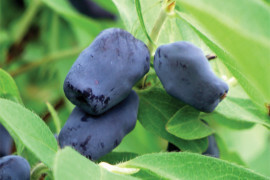 Bush of moderate vigor compare to Berry Blue with a height of 1,25 m.
Very hardy variety, height 1,5 m. Fruit is big, fairly firm with excellent flavor. Ideal variety for retail and u-pick. Very hardy and productive variety, height 1,5 m. Fruit is big, very firm with good flavor. Ideal variety for retail and u-pick and commercial. Very hardy and productive variety, height 1,5 m. Fruit is longer, very firm with very good flavor. Ideal variety for retail and u-pick and commercial. Very hardy variety, height 1,5 m. Fruit is big, firm with very good flavor. Ideal variety for retail and u-pick and commercial.